BaR-TeK is at your service to address your needs for installations of vertical carousel, horizontal carousel, upright carousel, vertical lift, gravity roller, conveyor, shelving, automated storage, and various retrieval systems. With over thirty years of experience in the field, our installers will do a "turn-key" installation. You can be confident that your machine will be handled and installed in a professional manner. 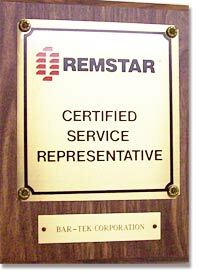 BaR-TeK personnel are available to instruct your operator and maintenance personnel after the installation is complete. Other services available include the re-locating of systems, telephone maintenance inquiries, and on-site service calls. Please feel free to contact us about your installation or servicing needs. Or you may call us directly at 772-971-1172. Horizontal Carousels may be found in small and large installations alike. Examples of horizontal carousels may be seen on our Job Photos page by selecting Horizontal Carousels on the dropdown. 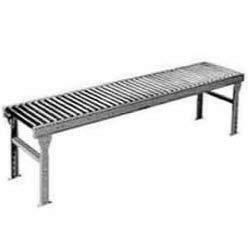 Gravity Rollers and Conveyors efficiently move product in and around your installation. A large gravity roller installation may be seen on our Job Photos page by selecting Gravity Rollers on the dropdown. Conveyor photos will be on our Job Photos page soon. Vertical Carousels and Upright Carousels are ideal for locations with high overhead space. Storage with Vertical Carousels multiples your storage ability many times over for the existing footprint. Examples Vertical and Upright Carousels may be seen on our Job Photos page by selecting Vertical Carousels on the dropdown. Vertical Lift Modules are ideal for locations with high overhead space. Storage with Vertical Lift multiples your storage ability many times over for the existing footprint. 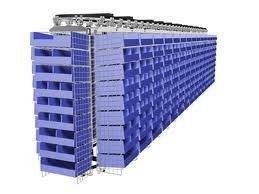 Examples may be seen on our Job Photos page by selecting Vertical Lift Modules on the dropdown. Factory trained to install and service White's Vertical Carousels, Horizontal Carousels, and Vertical Lift Modules. Factory trained to install and service Remstar Vertical Carousels, Horizontal Carousels, and Vertical Lift Modules (Shuttle). Factory trained to install and service Hanel's Vertical Carousels and Vertical Lift Modules. Factory trained to install and service Diamond Phoenix's Vertical Carousel, Horizontal Carousel, and Vertical Lift Modules.